Celebrate Westlake is a time for our school community to come together in praise to the Lord for what He continues to do through Westlake. 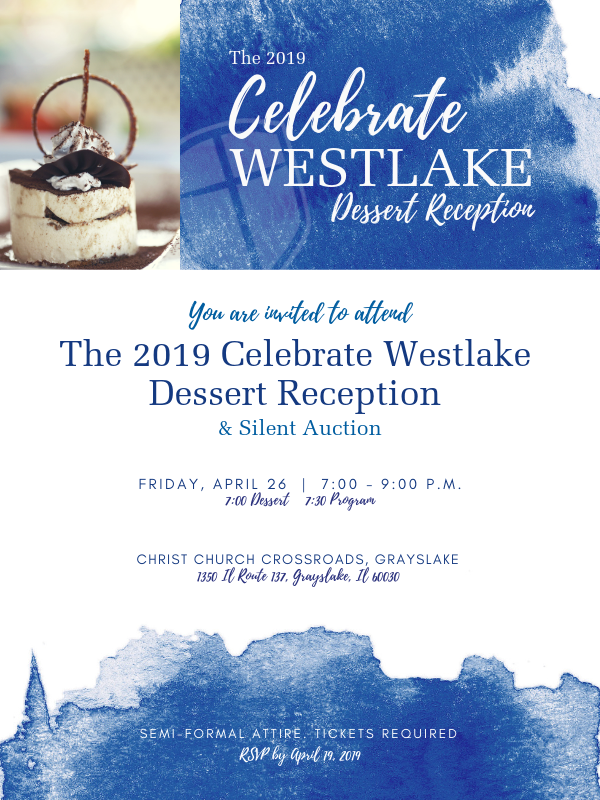 It is an opportunity to hear the impact that Westlake has made in the lives of students, teachers, and families as we disciple the next generation to serve the kingdom of God. We hope all our families, friends, and stakeholders will join us in celebration and we encourage you to bring someone you know who would be blessed by this evening of thanksgiving. The cost of the evening is $5 per person or $20 per family. Childcare is available for toddlers through 2nd grade for $5 per child.